Bracken Hanuse Corlett will discuss reconciliation as a process, not a product. The word itself contains connotations that don’t align with the principles of healthy relationships. There can be no reconciliation without truth and definable political action. Before reconciliation there must be individual healing as well as re-establishing bonds and alliances between Indigenous Nations that have been ruptured by colonization. 2017 Ellen and Warren Tallman Writer in Residence at Simon Fraser University, CECILY NICHOLSON is the administrator of the artist-run centre Gallery Gachet and has worked since 2000 in the downtown eastside neighbourhood of Vancouver, on Musqueam, Squamish and Tsleil-Waututh territories. She belongs to the Joint Effort prison abolitionist group and is a member of the Research Ethics Board for Emily Carr University. 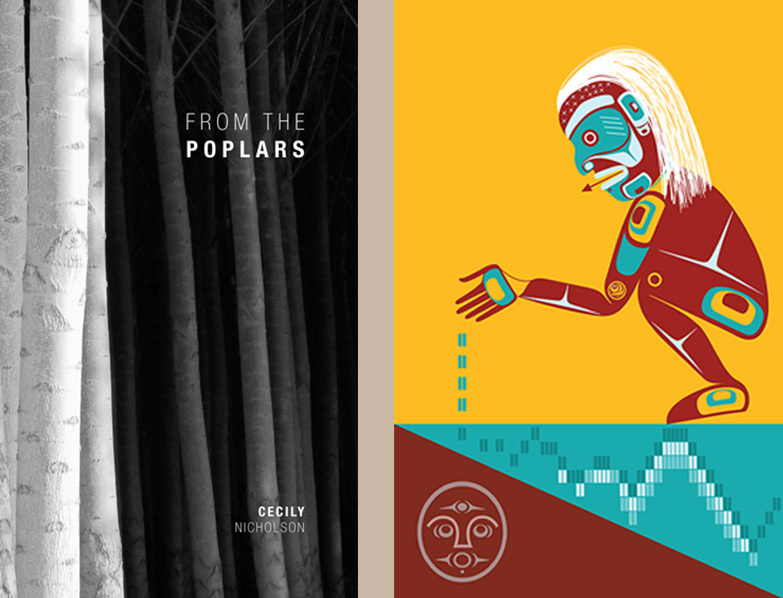 Cecily is the author of Triage and From the Poplars, winner of the 2015 Dorothy Livesay prize for poetry. BRACKEN HANUSE CORLETT is an interdisciplinary artist hailing from the Wuikinuxv and Klahoose Nations. He began working in the theatre and performance 16 years ago, before transitioning towards a practice that fuses painting and drawing with digital-media, audio-visual performance, animation and narrative. His work combines traditional Indigenous Northwest Coast iconography and history with new media and concepts existing cyclical space. He is a graduate of the En’owkin Centre of Indigenous Art and went to Emily Carr University of Art and Design for a B.F.A. in Visual Arts. He has also studied Northwest Coast art, carving and design from acclaimed Heiltsuk artists Bradley Hunt and his sons Shawn Hunt and Dean Hunt. He was a recipient of the 2014 BC Creative Achievement Award for Aboriginal Art and has received public art commissions from the City of Vancouver. Some of his notable exhibitions, performances and screenings have been at Grunt Gallery, Museum of Anthropology, Unit PITT Projects, Vancouver International Film Festival (Vancouver), Three Walls Gallery (Chicago), Ottawa International Animation Festival, SAW Gallery (Ottawa), Royal BC Museum, Open Space (Victoria), Winnipeg Art Gallery, Urban Shaman (Winnipeg), Sâkêwêwak Artists’ Collective, Mackenzie Art Gallery (Regina), Atlantic Film Festival, Tidal Force – Independent Media Arts Alliance (Halifax), Art Mur, Sommets du Cinéma D’animation (Montreal), ImagineNative, Toronto International Film Festival, Music Gallery (Toronto).